Download the fully functional free trial version now. Save time by using overview images to quickly browse your entire video collection. Frame by frame video analysis can help you and your team to get better resuls in a wide range of precision sports including golf and dance. Extract single video frames to use for forensic analysis as well as to browse large catalogs of videos. Regardless of your need, Fast Video Indexer will help you capture still images from your videos fast and acurately and have them saved as JPEG or BMP.
" Over the years I have "tried" and failed at working with frame extraction applications. Most have more steam than horsepower. Most promise the Moon but provide craters! With a library of over 6,000 videos I needed a software package that I could TOTALLY rely on to do what it advertised! 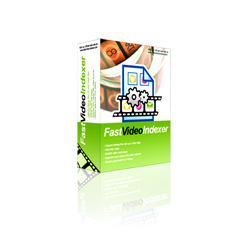 Fast Video Indexer (FVI) is THAT package! If you are serious about frame capture/extraction then FVI is the tool you need to add to your software toolbox. Its' swift, powerful, and totally accurate. Hands down, FVI is the BEST video-support software package you will ever purchase." "I would like to express my thanks for creating such a wonderful piece of software. As a web designer/Illustrator I edit and have lots of multimedia files on my system. Your software helps to index all my media so I can get at it for review quickly, I have found the software fast and efficient, plus the after sales support to be great"
Fast video indexer supports batch video frame capture. This will save you even more time. With the Fast video indexer video capture software you can browse you entire video collection to find specific scenes. Browsing is faster and easier than searching and you dont have to waste time trying to invent search tags. Why not use the time you save for something more fun. "Fast Video Indexer is really excellent software, saves me from hours of searching if we had to do it the old way"
Generate html indexes and share your video memories without forcing your friends to spend ages downloading large video files. Video photo summaries dont require plugins, they require less memory and web pages loads faster. "It's a very nice tool, and I really like it, and I'm very happy I spent some money on it. Let me make that very clear." Batch capture frames automatically from all your video clips. Stop building your video collection into a large pile of work just waiting to be sorted and organized. With Fast video indexer you can keep your entire video collection indexed and browsable at all time. "...It is hard to come up with improvements since the program is super..."
Fast video indexer video capture software can create a playlist with standard jpeg screen captures, ready to be viewed in the free inzomia image viewer or edited with your favorite image editor. index three full length movies in less than 30 seconds. This clip is a basic tutorial of the Video capture software.